Simply put, we are here to help. When we help you with your real estate, you give us the opportunity to help others in our community. With the help of our clients and the community, we successfully met our goal to reach $25,000 in donations in 2014! 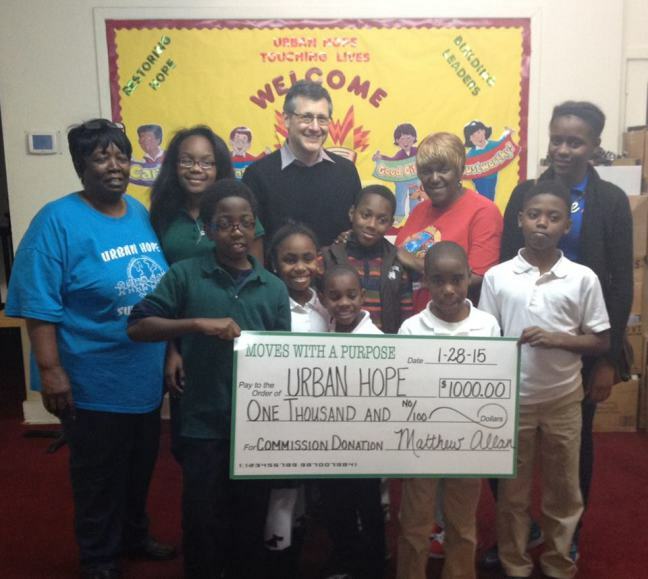 Our goal is to work with enough clients to create sufficient commission to donate $50,000 to local non-profits in 2015. To do that, we need to do a great job for our real estate clients. Creating win-win situations is what the Moves With a Purpose team is all about.